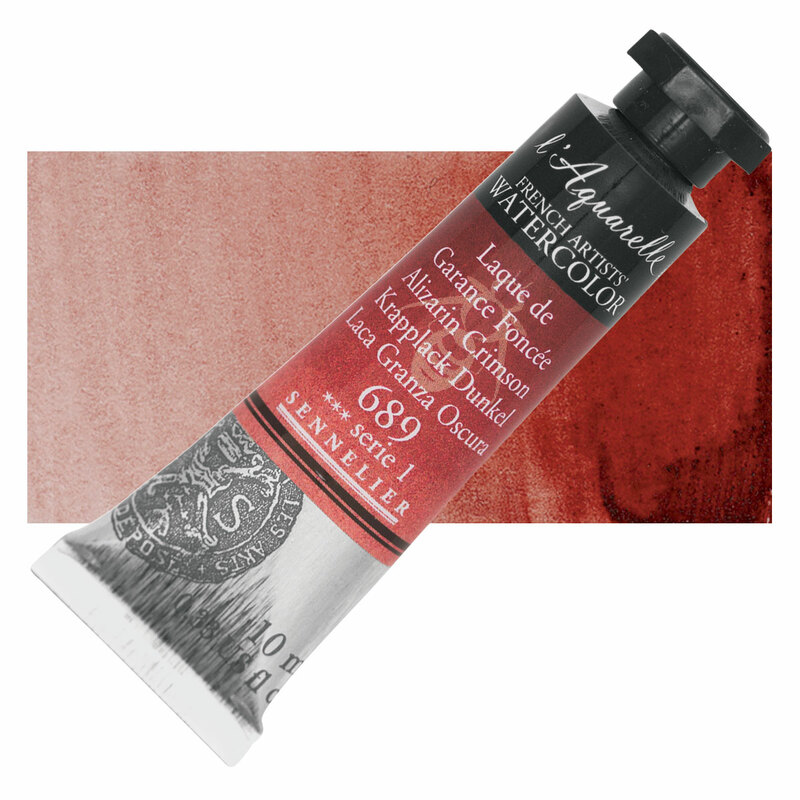 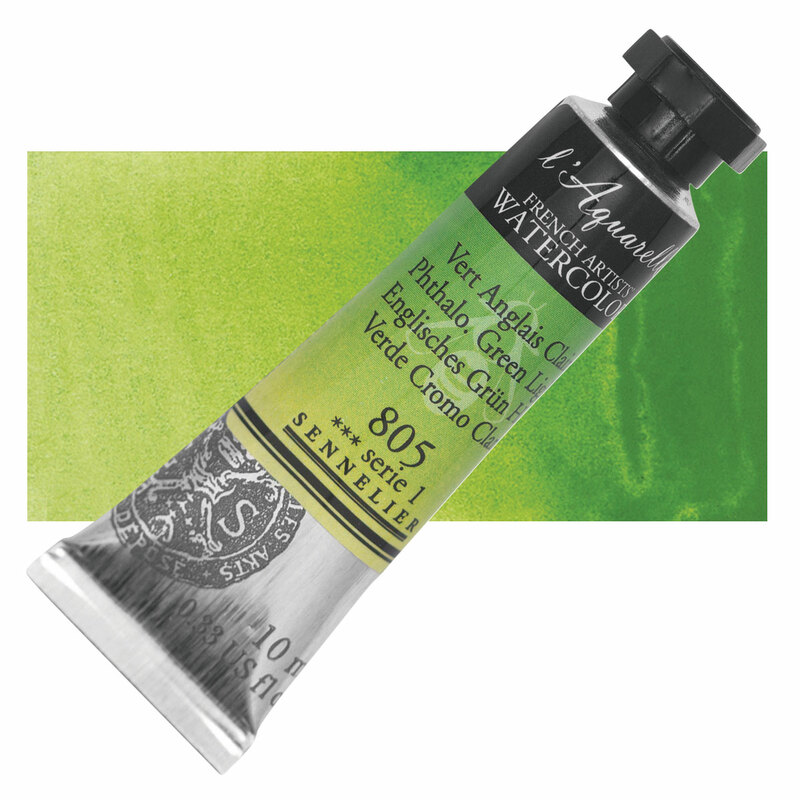 At home or on the road, in the studio or en plein air, there's an ideal Sennelier French Artists' Watercolor Set just for you. 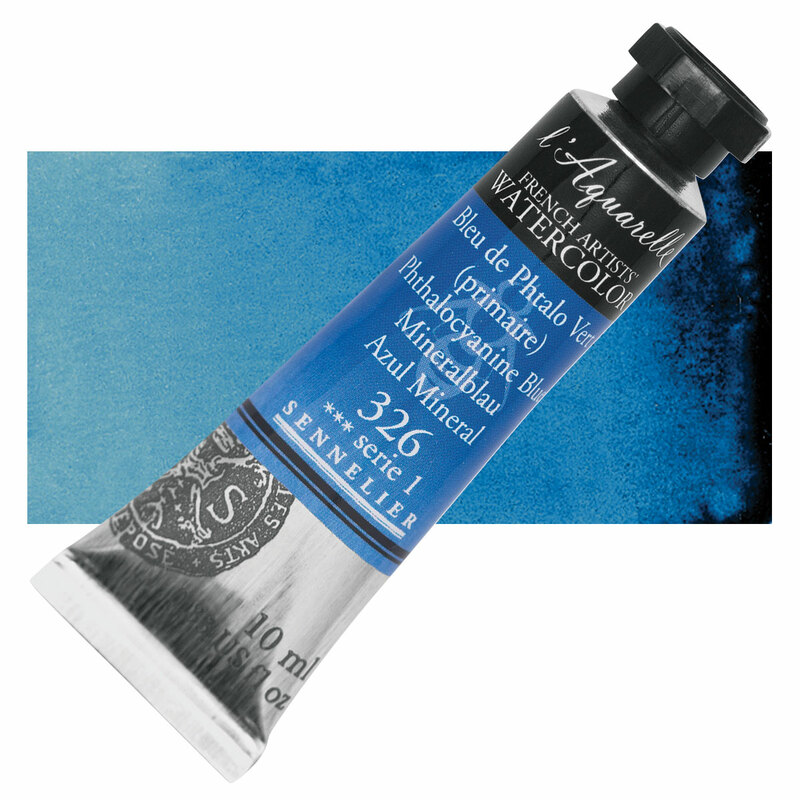 Choose from a wide array of tube, pan, or half pan assortments — brought together in plastic or metal cases to suit every artist's working style. 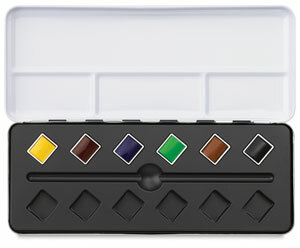 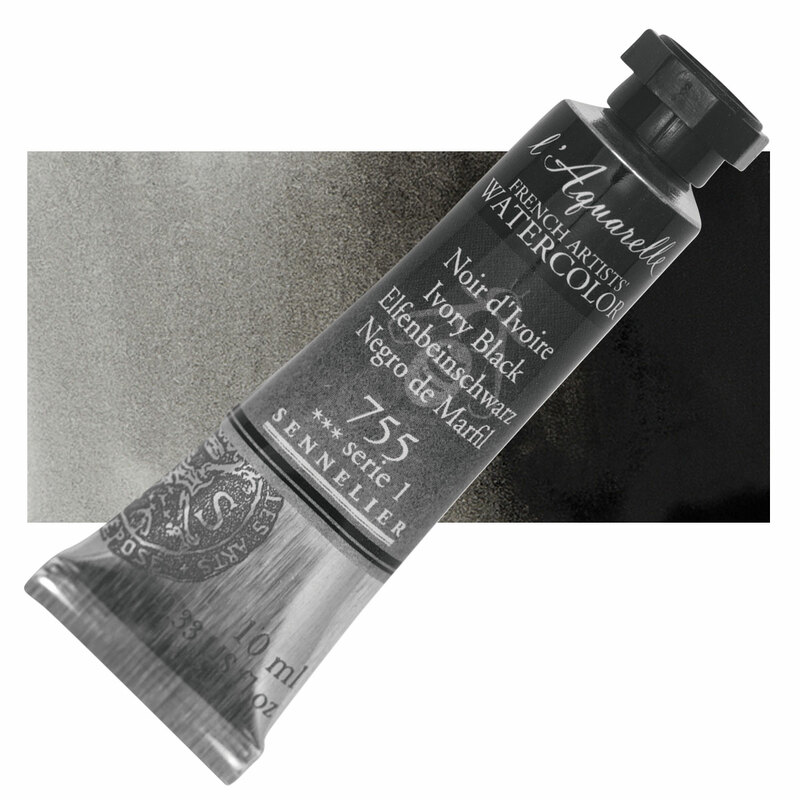 Test out Sennelier French Artists' Watercolors with six half pans in a metal case. 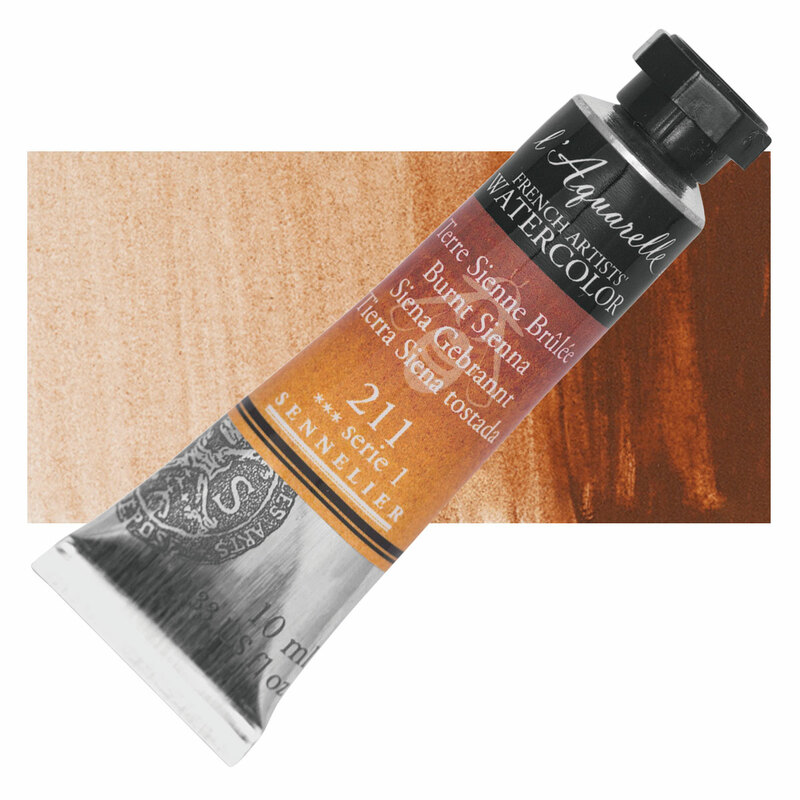 The colors include Burnt Sienna, Phthalo Blue, Sennelier Yellow Light, Alizarin Crimson, Ivory Black, and Phthalo Green Light. 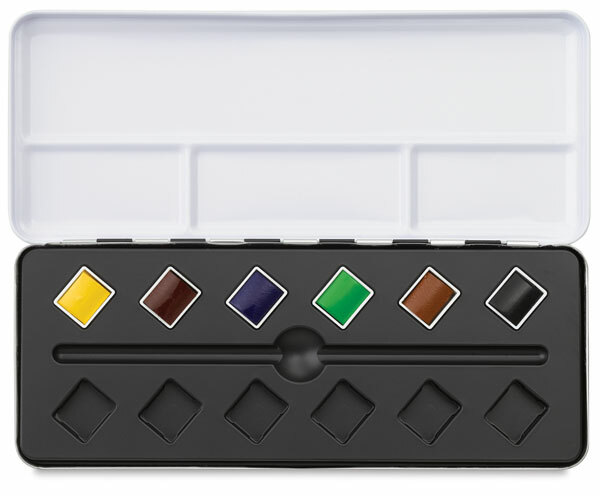 Hint — click a swatch thumbnail to view a larger, more detailed color swatch. 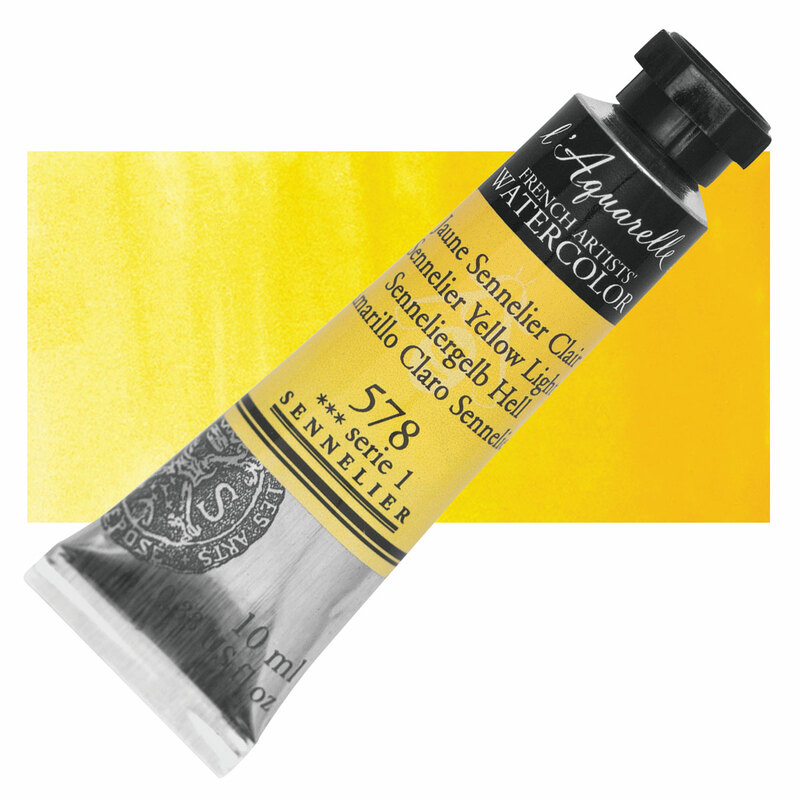 ® Sennelier is a registered trademark.